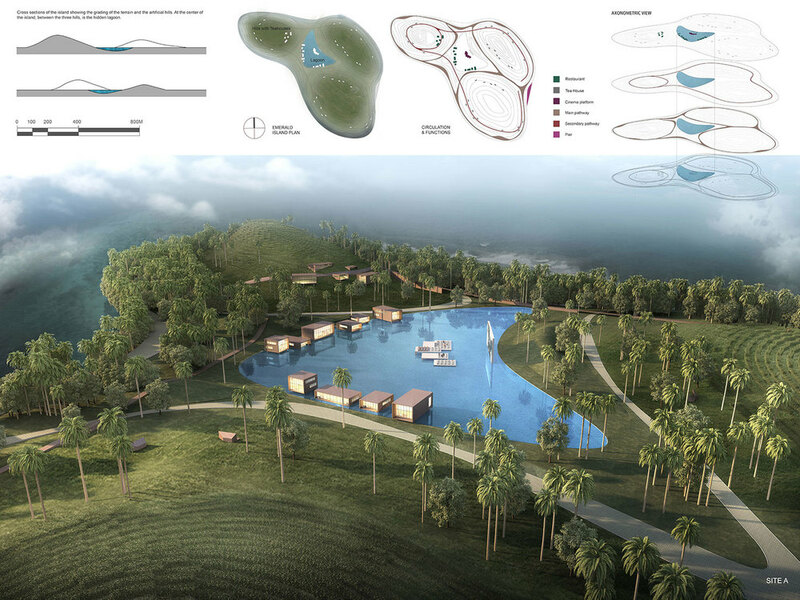 Description 项目描述 : The design proposal for the 3 selected sites of this competition under the name 'City on Water' explores the relationship, both current and future, between Taihu lake and the inhabitants of the Wujiang region. On the island near the new CBD, a quiet and moderate development is proposed in order to serve as a relaxing get-away from the city. 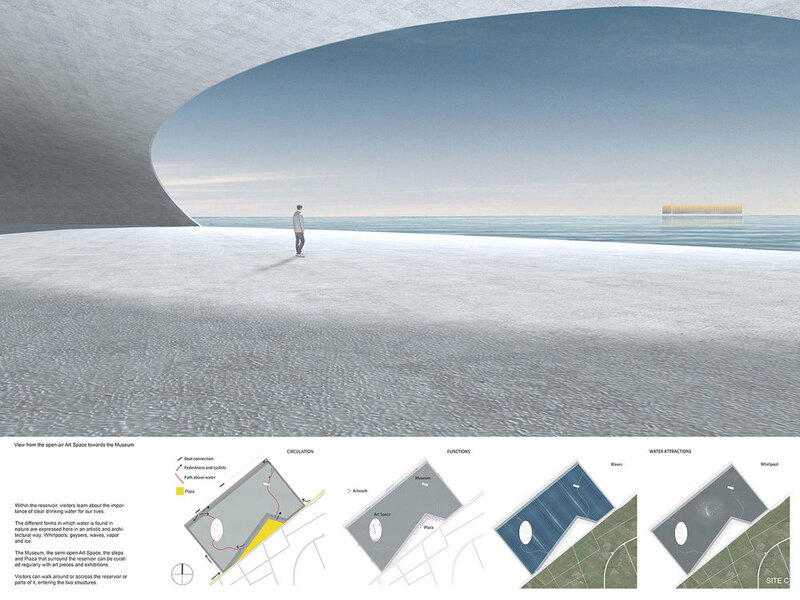 On the long lake front where the future hospitality developments will be located, a series of inter-connecting pools can provide healthy activities to the tourists. 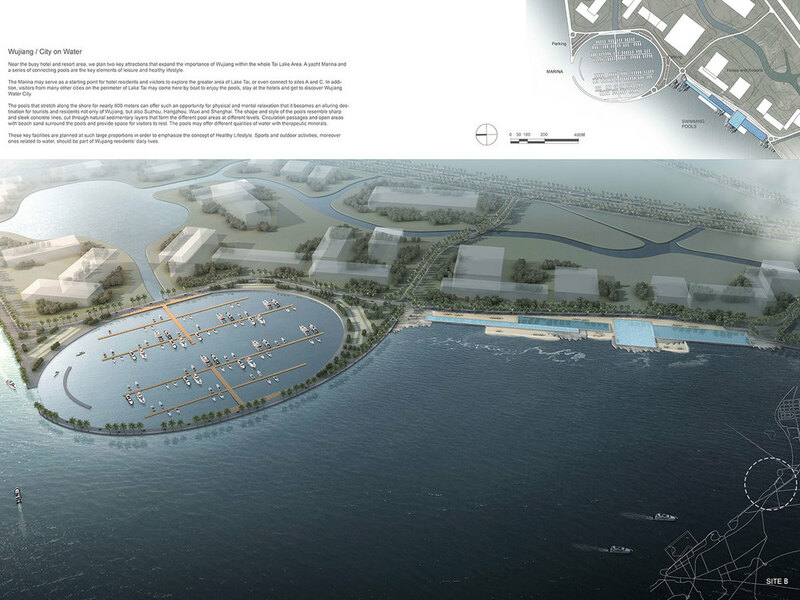 At the far end of the development, where the large fresh water reservoir is located, a semi-open art space and a museum are proposed in order to educate about the importance of water. 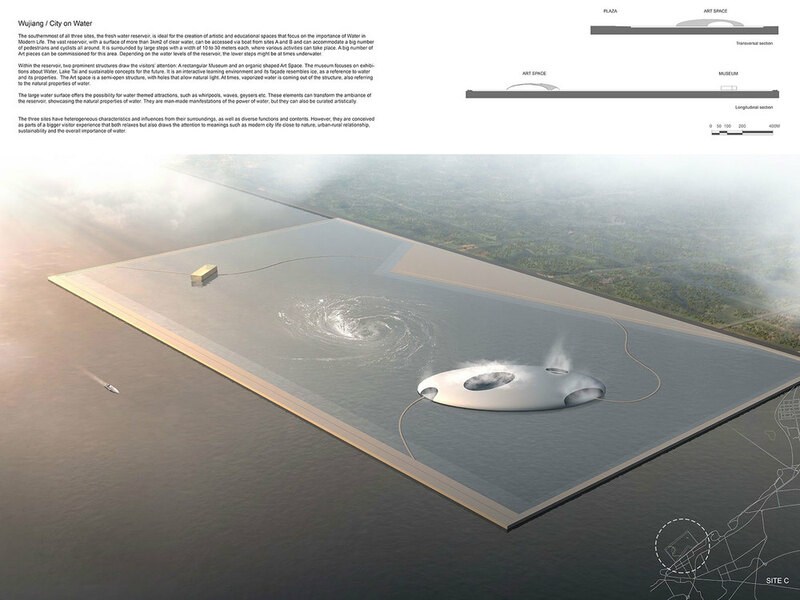 The reservoir is equipped with filtration systems that create waves, mist and whirlpools as both artistic and environmental statements. 该项目包括三处以"水上城市"为主题的项目场地, 是以探索现在和未来, 太湖和吴江居民之间的关系为设计主旨的比赛. 项目岛屿毗邻新的城市商业中心, 为了达到逃离喧嚣城市的意境从而采用了一套静谧的设计方案. 作为未来酒店相关的产业,一系列为游客提供健康活动并相互连接的游泳池将会建立在绵延的湖岸边. 一处大型蓄水水库将会被设计建立在场地规划的远端, 同时还有一处半敞开式的艺术空间和博物馆旨在教育来访游客水的重要性. 水库配备了一套净水装置可以产生清洁的波浪和涡流的艺术效果.